Leonis phase Variable Kingsnake. 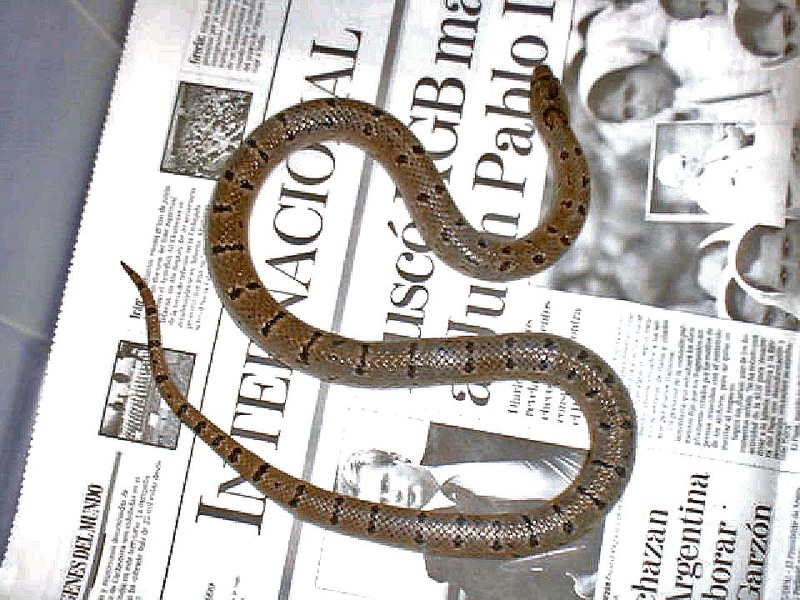 This snake was photographed at David Lazcano's laboratory in Monterrey, Nuevo Leon. One of the "alterna" type Variable Kingsnakes. The primary bands on this leonis phase have separated in to twin spots along the nuchal area - a feature that develops on many leonis with restricted saddles. Photo by Alan Kardon.